Raw almond and roasted almond flour and butter can be processed on the Universal mill. Sweet almond flour is normally blanched (de-skinned) prior to milling. Almond meal is ground with the skin attached. Almonds have a lower oil content than the other nut butters and mills into a flour or meal with the plate attachment of the Universal mill. 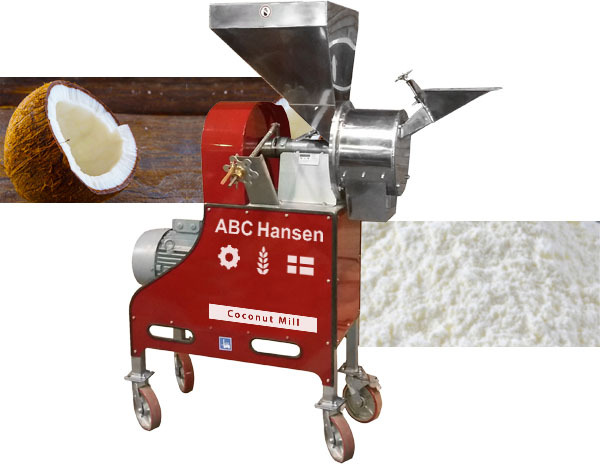 However, adding oil during the milling process would allow the flour to be turned into a butter. An emulsifier, salt, sugar and other flavourants may be added allowing the solids and oil to remain in an emulsion and not separate. A smooth or crunchy butter and likewise a fine and coarser flour may be milled with the Universal mill.